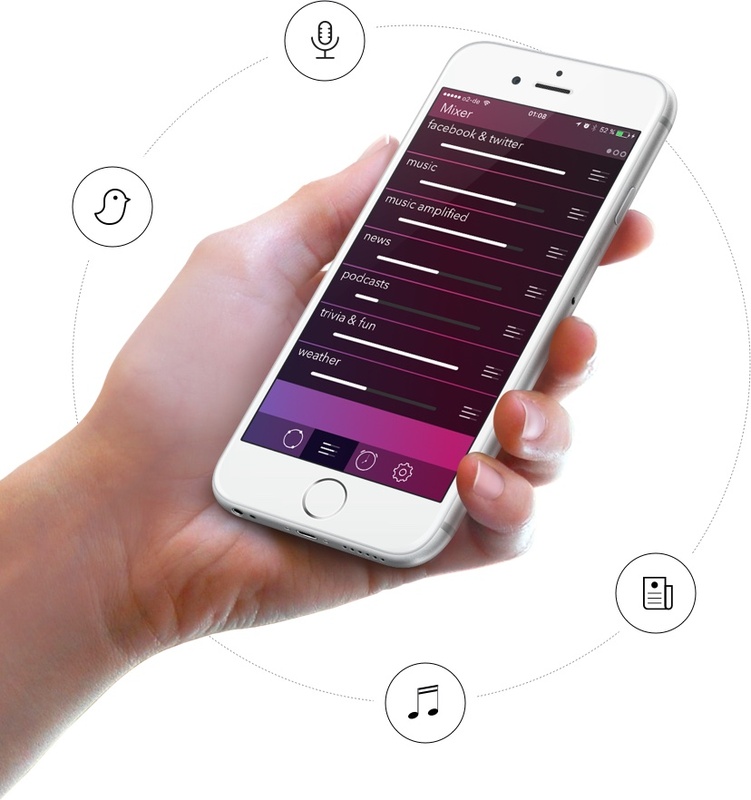 Turn your phone into an interactive, personalised radio show. It’s your life as you’ve never heard it before. 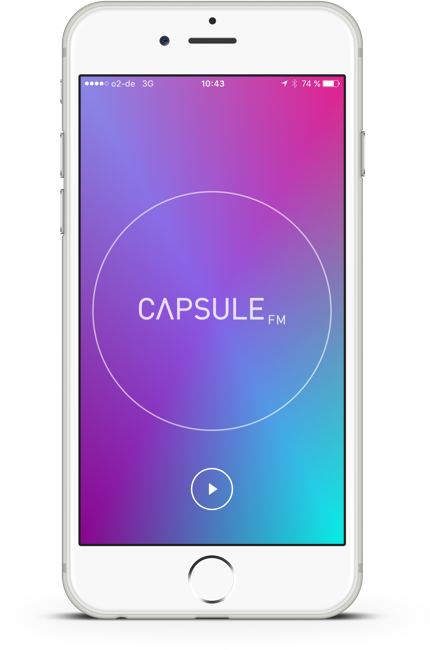 Capsule.fm mixes your favourite music, news, podcasts, and social media into an ever changing audio stream. Our charming robots keep you informed and make your day more fun. It’s like having a smart, trustworthy companion who is always with you – your very own sidekick. 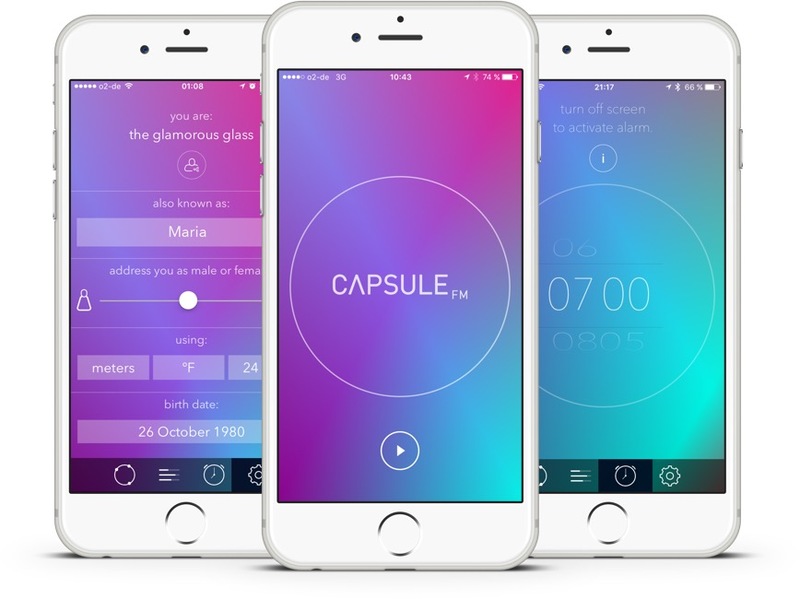 Unlike other robots in your phone, the Capsule.fm bots aren’t boring. Each bot sidekick has their own personality and can speak a different language. From Miranda and Carl bringing you news headlines in English, to Konrad and Heidi waking you up in German. Capsule.fm is always personal and never dull. Add your music and playlists, connect Twitter and Facebook, and select your favorite podcasts and news. Then you choose the mix. Want more music and less talk? You’re in control. Amplify what you’re listening to and your fellow listeners will hear about it, too. Follow your friends and find other people with great taste. With Capsule.fm, friends, strangers, and robots help you discover new music and great podcasts. Capsule.fm isn’t linear audio. You can swipe back and forth, dive deeper for more information, and amplify the content you like. The more you interact, the more your robot sidekick learns about you. GET YOUR PERSONAL RADIO-BOT NOW.